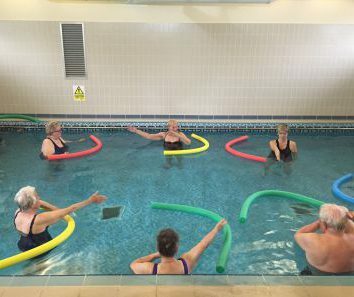 The benefits from this exercise are highly recommended by local surgeries and we have received some fantastic feedback on how it eases pain and strengthens the body. 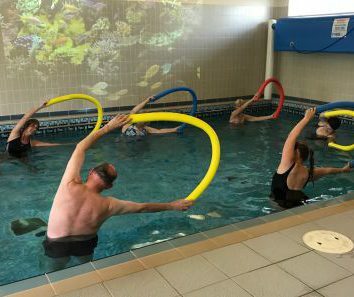 The session is taken in a small hydro pool at Beacon School by trained instructors, it is 4ft deep and heated to 36 degrees, this allows the muscles to relax and work. 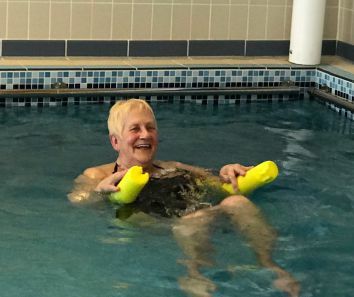 For those with mobility issues there is a hoist in and out of the water. Pool currently closed for maintenance due to re open after February half term, we will keep you posted.